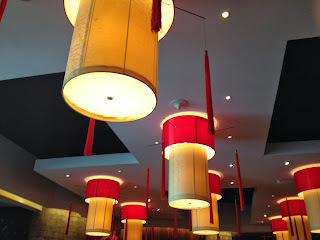 Shang Palace, all about the food - Shangri-la, Abu Dhabi. How do you make something that is already good even better? Well, change the menu and add some fabulous new dishes. That is exactly what Shang Palace has done. Their impressive yam cha offered between 12.30 and 15h00 has become even more impressive with some tasty additions to their menu. Now I love yam cha. 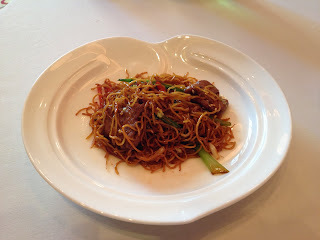 Next to Japanese food, I find it as the meal that allows me to feel satisfied without feeling bloated. The ingredients are light, the tastes are varied but subtle - a nice way to spend an afternoon. 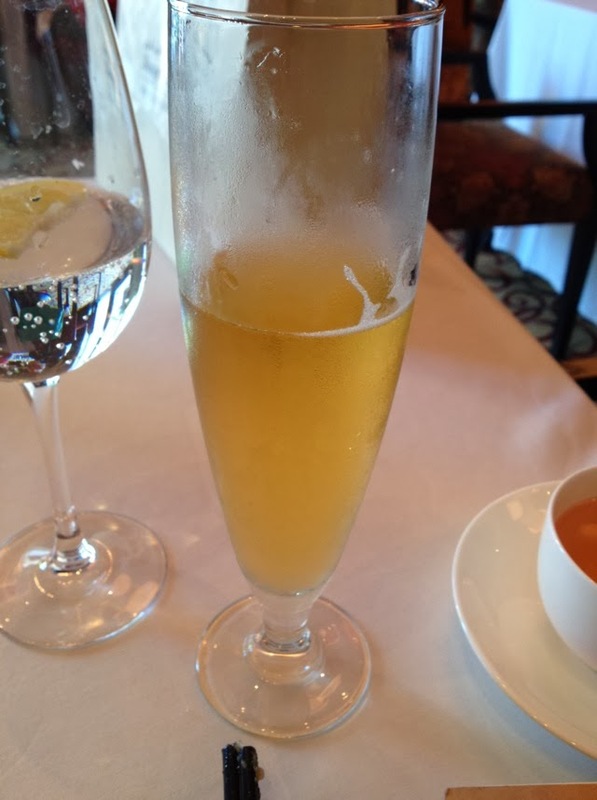 I have enjoyed Shang Palace several times in the past, but was often left with a feeling that something was missing in the service. The service was always professional, but left me feeling it was too mechanical. Not this time. The service on this occasion was everything it usually is, but felt human and less robotic. It was spontaneous and warm! 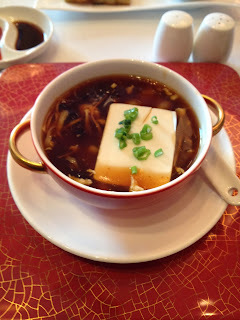 I started out with the hot and sour soup with soft tofu and seafood. It is a shame I did not have a cold. I reckon this will go a long way to making it go away. No, it is not overwhelmingly hot. That is what is great about it. It would be easy to over do it. But chef does not. 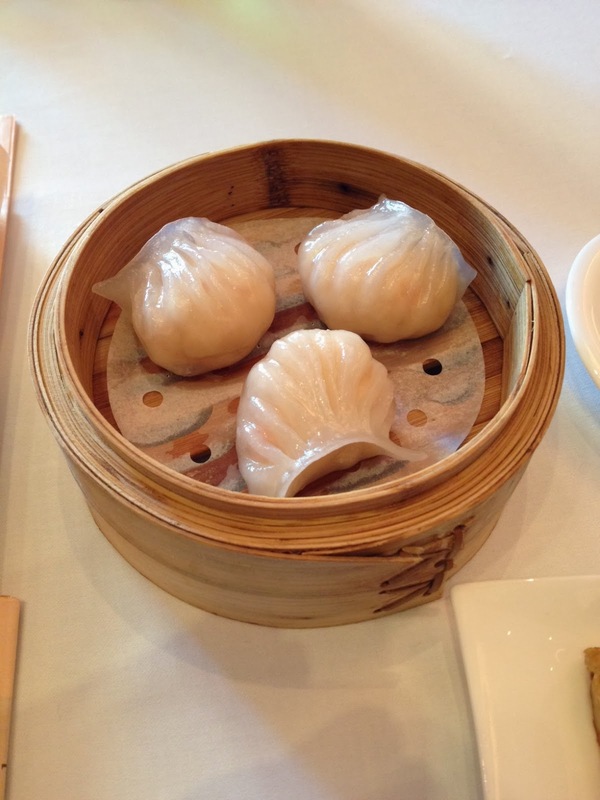 Beautiful.At Shang Palace you cannot go wrong with their dumplings: fresh, light and beautifully presented. I had the 'Ha kao' which was steamed prawn dumplings and the 'Siew Mai', steamed Sichuan shrimps and chicken dumplings. Highly recommended. Whenever I visit here, I must order a Glutinous rice dish, mainly because it reminds me of my two-year stay in central China 12 years ago. That says something then. Authentic. 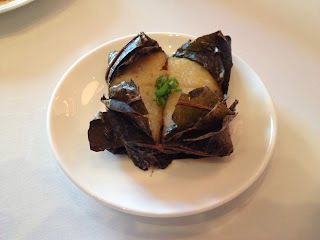 So, I had the Steamed chicken and Glutinous rice that was wrapped in lotus leaf. Lived up to the expectation again. I was excited about the new items on the menu, and I felt compelled to follow the recommendations made by a couple of waiting staff members. 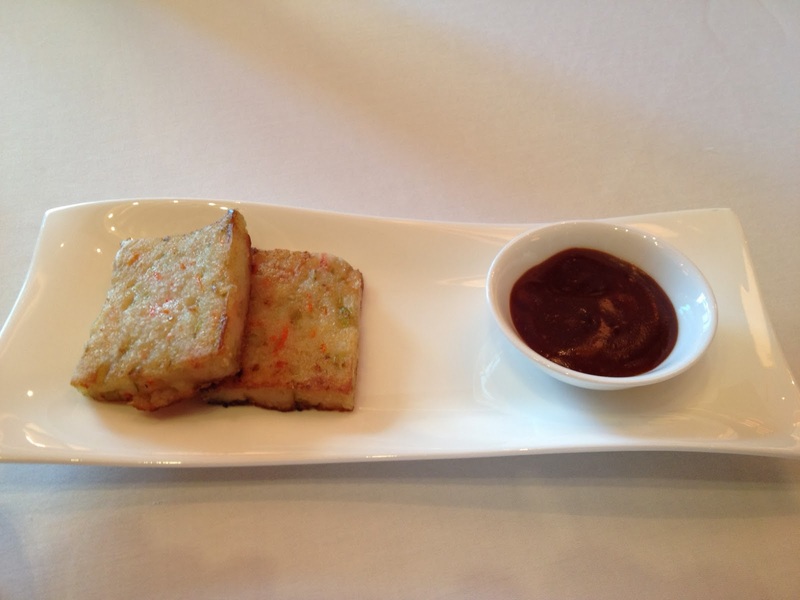 Firstly, the pan fried radish cake with sweet sauce was absolutely divine. Perfect portion with the most delicate of seasoning. At the opposite end but equally delicious was the vegetarian bean curd roll in bean sauce. I say at the opposite end because there is nothing subtle about the sauce. The sauce as so good I need a new set of chopsticks! Of course the best way to wash all this down is Tsingtao beer poured into a chilled glass. That is just what I had, by far China's best beer. Dessert was new ground for me. I usually indulge in the best dessert spread in the city at Sofra as part of the yam cha deal (a steal at 138++), but on this occasion I decided to try Shang palace's desserts. One of the waitresses reckoned that the Chilled pear sweet soup with red date and white fungus is a very challenging one for foreigners, but I was up for it. I think this is true for two reasons: the idea of fungus and idea of soup for dessert is alien to foreigners. But being passionate about anything Chinese, I went for it. The result: fantastic. I ended off with something more predictable in that I had the Crispy banana with honey milk. Not as good as the soup, buy enjoyable in its own right nonetheless. 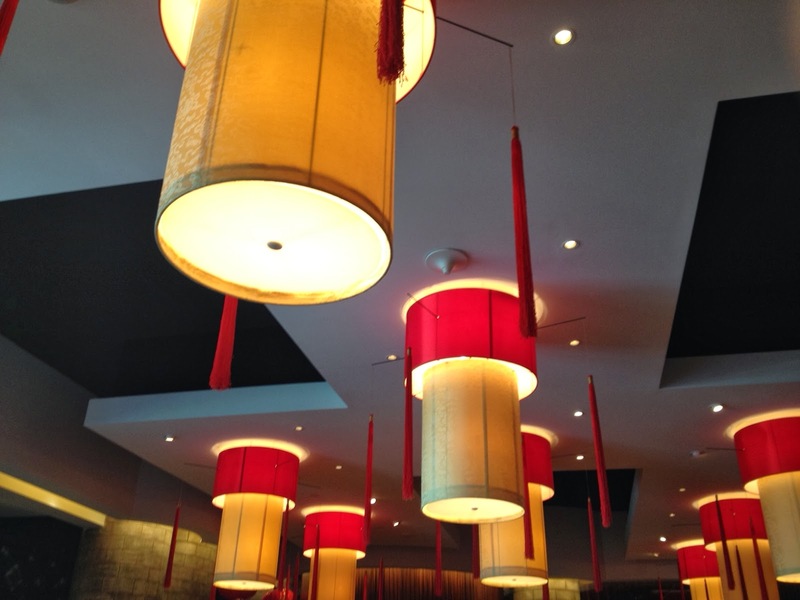 If you like a restaurant that is over-the-top and kitschy, Shang Palace is not for you. On the other hand, if you like a place where attention is paid to the taste of the food in equal measure to the presentation, try Shang palace. I like Shang Palace. It is not big. It is not in-your-face-opulent. Rather understated and subtle. de thali - another favourite. Sofra Seafood Night - Shangri-la, Abu Dhabi.